Torrents of warm rain pelted our shoulders as we dashed from the van to Food for the Hungry’s (FH) office in Trapeang Prasat. We welcomed the shelter of the open-air meeting room as we watched the monsoon put on a show. 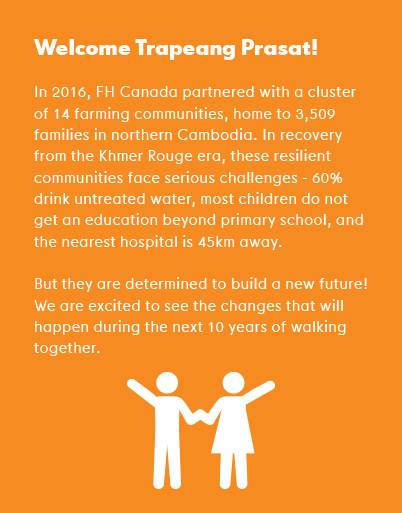 Linly, the FH Country Director and guide for our week-long trip to Cambodia, phoned a staff member to ask about the weather’s affect on our plans. And with that, the rain stopped. So off we went. But the village road proved to be the tropical version of a skating rink. Even slight acceleration resulted in the van sliding precariously close to the ditch. Our driver put the vehicle in park and looked to us for direction. “How far is it? Can we walk?” we asked our leader. “It’s maybe a mile. But if we walk, you better pick up a stick to knock the clay off your shoes or your feet will get too heavy.” We didn’t need coaxing, and she wasn’t kidding. Each step added pounds to our sandals as we slogged along. “The staff are coming!” shouted Linly. SHELAINE STROM HOLDS ON FOR DEAR LIFE! We dodged puddles and potholes, skidding periodically, and all too soon the adventure ended. I climbed off and stood before 75 smiling, curious people. My teammates arrived and we began following the crowd toward the first bridge. 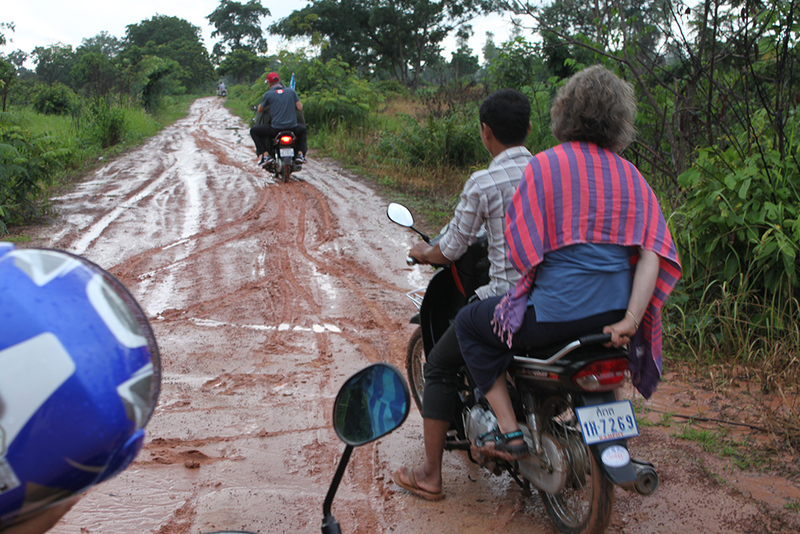 When Food for the Hungry staff began walking with this community, the village leader shared his heart with them, “If you will partner with us, we will do everything for you to get to our village.” They built the clay road so staff could get into the community. The chief had described how, when rainy season hits, the road became impassable as three gullies turned to rushing rivers, cutting their village off from the world. Women gave birth on river’s edge and too many died of infection because they couldn’t get to a doctor. Some children had died trying to cross to get to school. Bong Phanna pointed to the surrounding hardwood trees. Now, months later, there we stood, the first Canandians to see the fruit of the villagers’ labour. The community had pulled together and worked under the direction of a FH engineer. 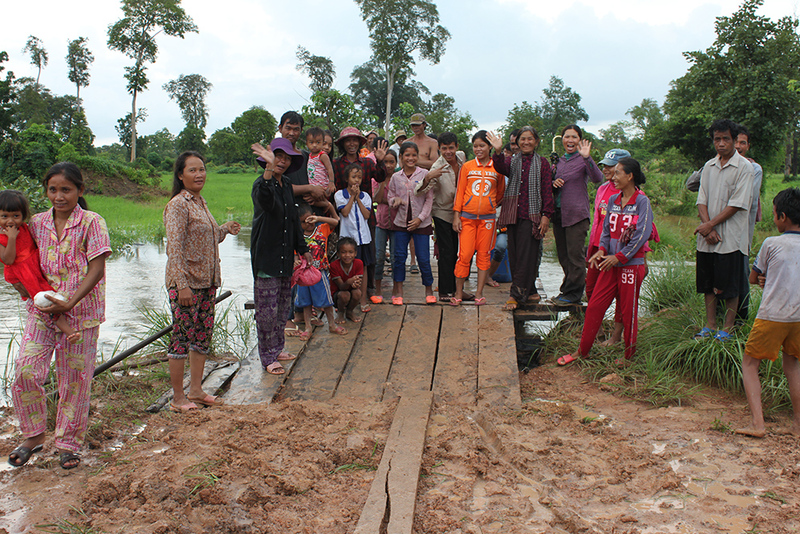 Locals sawed and hammered and fashioned three exquisite foot bridges to span the angry, muddy waters. We were told upon arriving in Cambodia not to be surprised if our smiles went unreturned by people - their history is painful and trust comes slowly. This village didn’t get that memo. 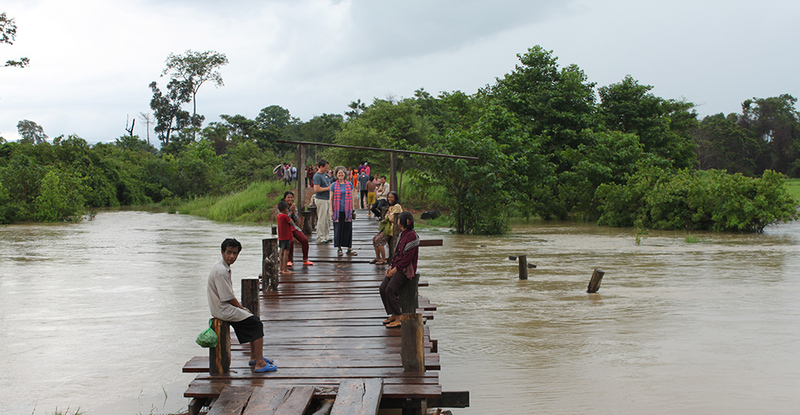 At the first bridge women laughed, children ran back and forth, and men motioned us onto the next bridge. And then onto the third. I can’t recall another time I felt so welcomed into the heart of genuine rejoicing over something incredible accomplished together. We had no spoken language in common but the dancing, singing, and clapping needed no translation. We ended our time by blessing the structures and its builders, and Bong Phanna shared more of the story. This community, once fragmented by the fear, mistrust, and pain leftover from the Khmer Rouge era, had met on the bridge early that morning to make and share rice together awaiting our arrival. Eventually they ate lunch there as well. So much excitement and anticipation. And since that communal effort, people are looking out for each other. They share in care for the sick and aging. They are, in the truest sense, a community. Thank God we went. Perhaps those bridge builders were blessed by our visit, and I pray they grow in understanding of their intrinsic value as created in the image of God. But I also hope they can, in some small way, know the lasting impact their pure joy had on us. About Shelaine Strom: Author and life-coach Shelaine Strom has seen life. Learning from her own professional and medical challenges, she has taught career and life transitioning for nearly twenty years and helped thousands of people get back up on their feet. Shelaine currently serves as the Manager for Education & Professional Development at FH Canada.